In 2007, we launched Safe Browsing, one of Google’s earliest anti-malware efforts. 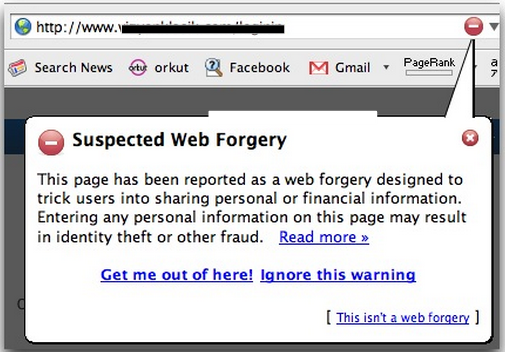 To keep our users safe, we’d show them a warning before they visited a site that might’ve harmed their computers. Computing has evolved a bit in the last decade, though. Smartphones created a more mobile internet, and now AI is increasingly changing how the world interacts with it. Safe Browsing also had to evolve to effectively protect users. And it has: In May 2016, we announced that Safe Browsing was protecting more than 2 billion devices from badness on the internet. Today we’re announcing that Safe Browsing has crossed the threshold to 3 billion devices. We’re sharing a bit more about how we got here, and where we’re going. 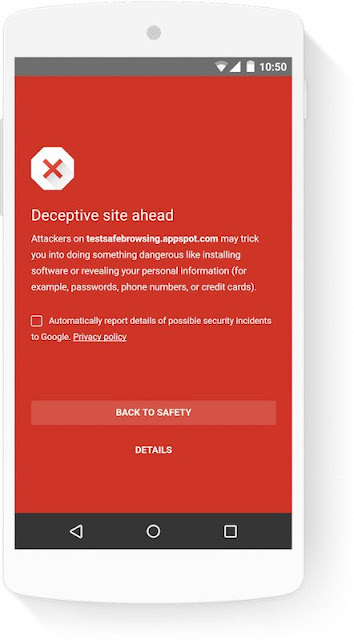 This notification is one of the visible parts of Safe Browsing, a collection of Google technologies that hunt badness—typically websites that deceive users—on the internet. We identify sites that might try to phish you, or sites that install malware or other undesirable software. The systems that make up Safe Browsing work together to identify, analyze and continuously keep Safe Browsing’s knowledge of the harmful parts of the internet up to date. This protective information that we generate—a curated list of places that are dangerous for people and their devices—is used across many of our products. It helps keep search results safe and keep ads free from badness; it’s integral to Google Play Protect and keeps you safe on Android; and it helps Gmail shield you from malicious messages. And Safe Browsing doesn’t protect only Google’s products. For many years, Safari and Firefox have protected their users with Safe Browsing as well. If you use an up-to-date version of Chrome, Firefox or Safari, you’re protected by default. Safe Browsing is also used widely by web developers and app developers (including Snapchat), who integrate our protections by checking URLs before they’re presented to their users. In the days when web browsers were used only on personal computers, we didn’t worry much about the amount of data Safe Browsing sent over the internet to keep your browser current. Mobile devices changed all that: Slow connections, expensive mobile data plans, and scarce battery capacity became important new considerations. We initially introduced our new mobile-optimized method in late 2015 with Chrome on Android, made it more broadly available in mid-2016, when we also started actively encouraging Android developers to integrate it. With the release of iOS 10 in September 2016, Safari began using our new, efficient Safe Browsing update technology, giving iOS users a protection boost. The internet is at the start of another major shift. Safe Browsing has already been using machine learning for many years to detect much badness of many kinds. We’re continually evaluating and integrating cutting-edge new approaches to improve Safe Browsing. Protecting all users across all their platforms makes the internet safer for everyone. Wherever the future of the internet takes us, Safe Browsing will be there, continuing to evolve, expand, and protect people wherever they are.